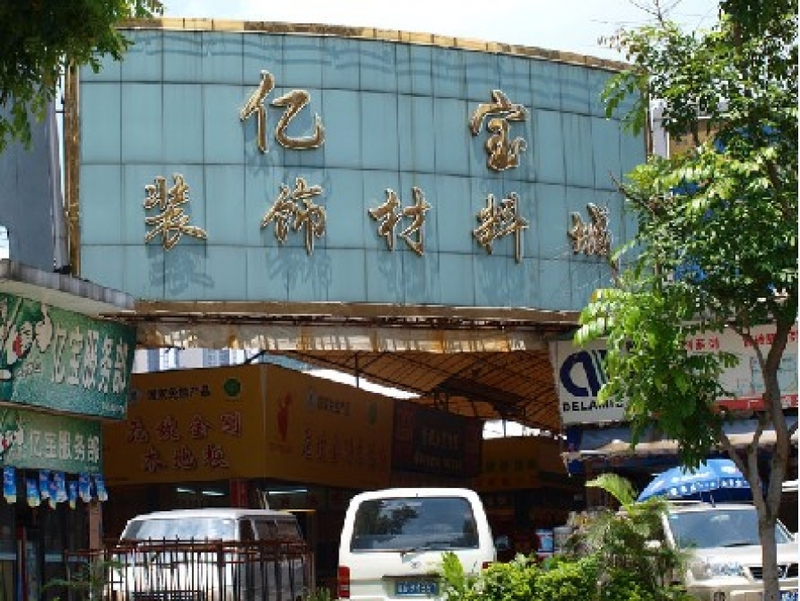 Yibao Decoration Material City located in Huangpu Avenue, is a wholesale, retail, decoration, home design as one of the large commercial plaza. Its main business scope is the decorative materials: metal, cloth, locks, flooring, doors, lamps, stone, and so on. There is a small business with a toilet and kitchen furniture and bath. Market businesses are factory direct, dealers, distributors, self-employed. Mainly concentrated in Guangzhou, Shunde, Nanhai, etc. manufacturer's products. Most of its products are domestic, but there are a small number of products are for export. Its main business affordable products, but also a small amount of high-end products.